Whether or not you know where you want to live or need help navigating the downtown area, consider hiring a professional to help ensure that your purchase transaction goes smoothly. Finding the home is the first step. Managing multiple offer situations (it still happens), securing the property, and getting through your due diligence period can be stressful. A professional knows the questions to ask and can help you understand your options so that you reach a successful outcome. When it comes time to sell, you need someone who knows the market so that you can get the best results. What do buyers expect? How much should you prepare in advance? But perhaps the most important piece of the puzzle is making sure that the right buyer is found and you reach a successful closing. Hilary Stokes practices real estate in the Downtown Raleigh market and the surrounding area, serving buyers and sellers who value an active lifestyle in walkable communities. She has successfully marketed several downtown projects including The Ten at South Person, Palladium Plaza, and Blount Street Commons. Hilary's love of modern architecture can be seen through her recent renovation of a 50's ranch in Cameron Village. Through her experience owning several homes, she learned that a quality home without the quantity of space, is hard to find. Thus, many buyers find her because they are looking to replicate what she did - find a home near downtown that has the quality without the superfluous square footage. Hilary earned her Business degree from East Carolina University and led a successful marketing career in the high tech sector before transitioning to real estate in 2005. 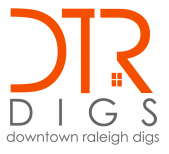 She launched Metro Digs in 2016 as an extension of the boutique brand that was already created through the DowntownRaleighDigs website.